Here you can find information about events I have attended with friends as well as upcoming events. 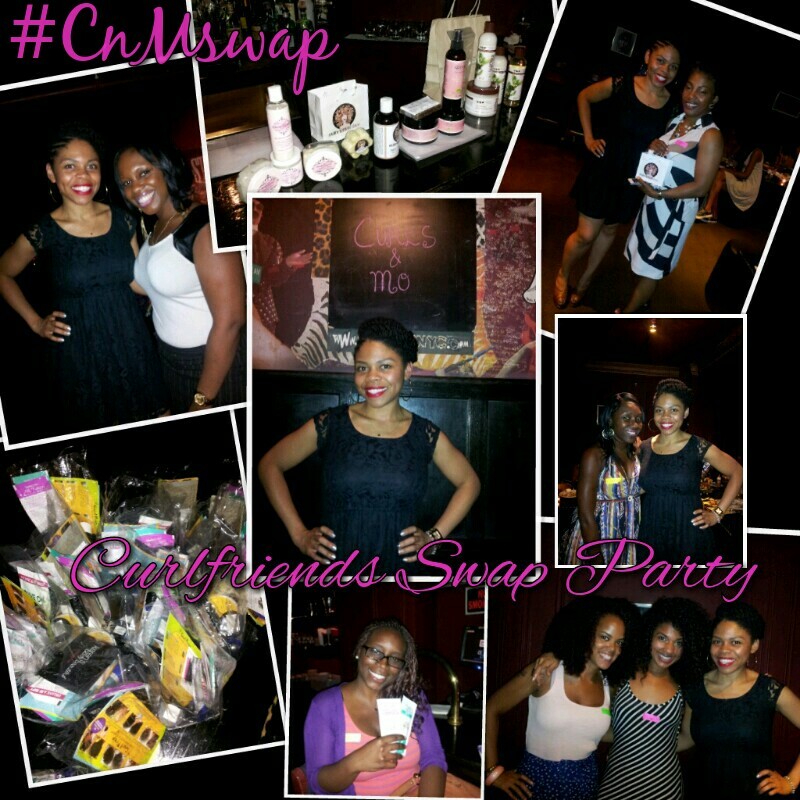 Last Tuesday I hosted 25 naturalists at Curlfriends Swap Party. It was a bit different from my usual Curly Card Night but it was so much fun! If you’re like me then you probably have tons of natural hair products you don’t use that are just sitting under your sink collecting dust. But, if you’re REALLY like me then you also probably have a ton of accessories (acquired after going natural of course – lol) that are in perfect condition but you’re bored with. 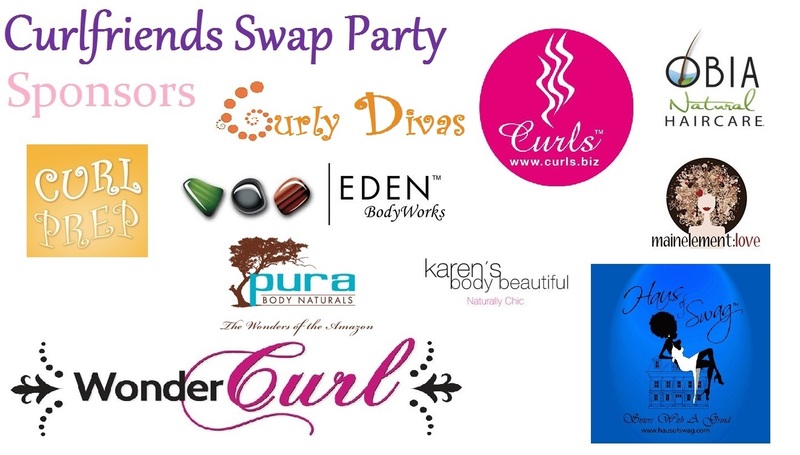 I’m hosting Curlfriends Swap Party, a night to hangout with other fun ladies, laugh, talk about hair and get some “new” products and accessories while getting rid of your old ones. 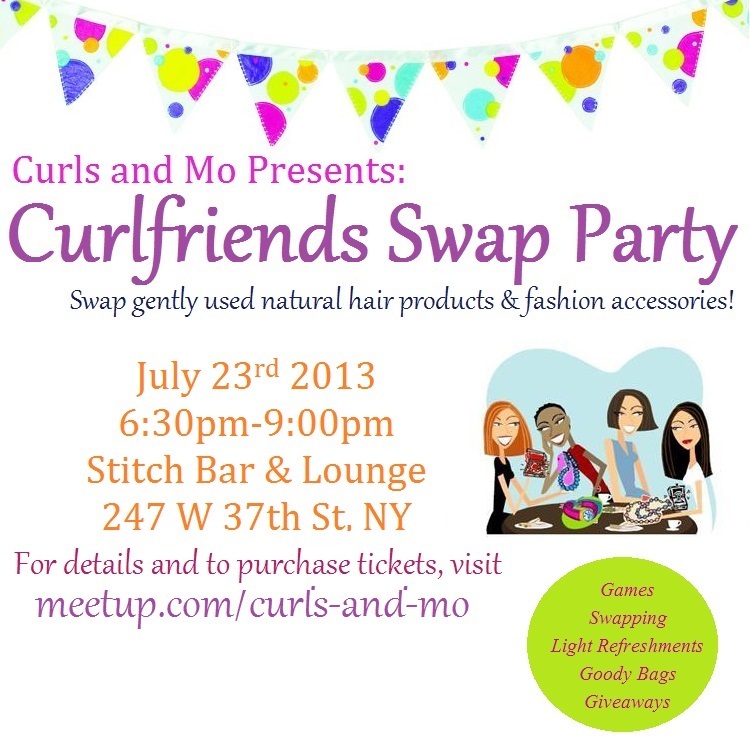 Curlfriends Swap Party will be on Tuesday, July 23rd from 6:30pm-9:00pm at STITCH Bar and Lounge (the home of Curly Card Night). 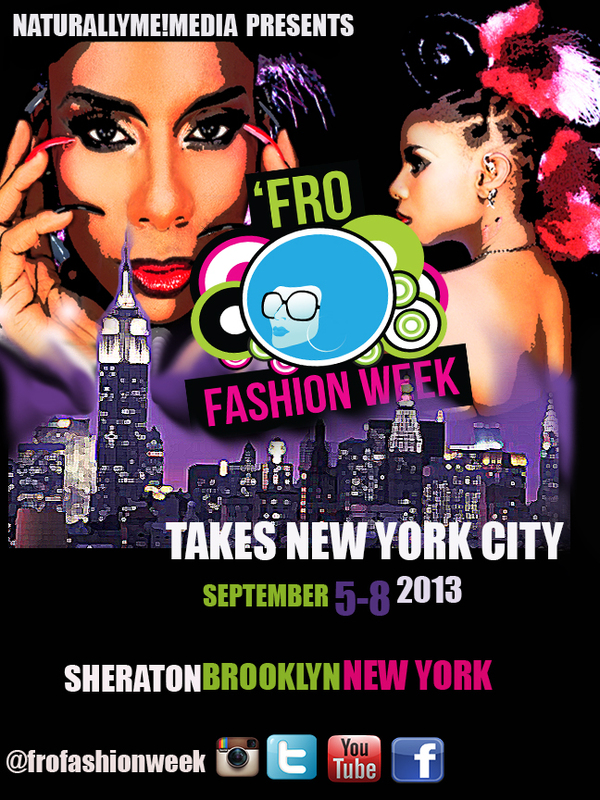 We also have some great raffles and swag bag goodies from these sponsors! I hope you can join us. It’s going to be a lot of fun! 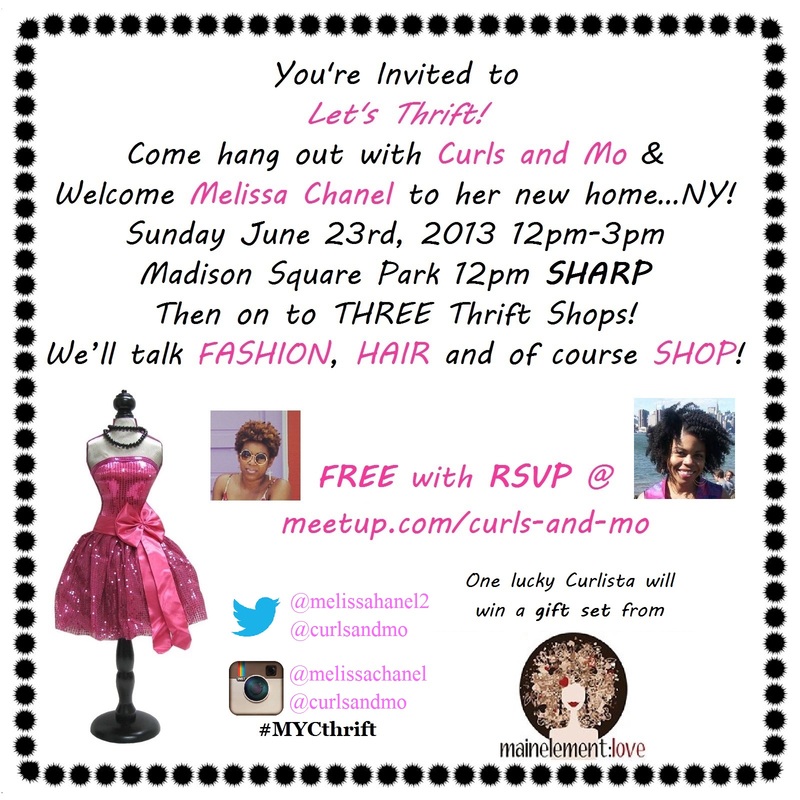 THIS Sunday, June 23rd I’m co-hosting Let’s Thrift with MelissaChanel. If you’re free, come hang out and thrift. Also, get a chance to win some amazing products from mainelement:love. RSVP for free at www.meetup.com/curls-and-mo! 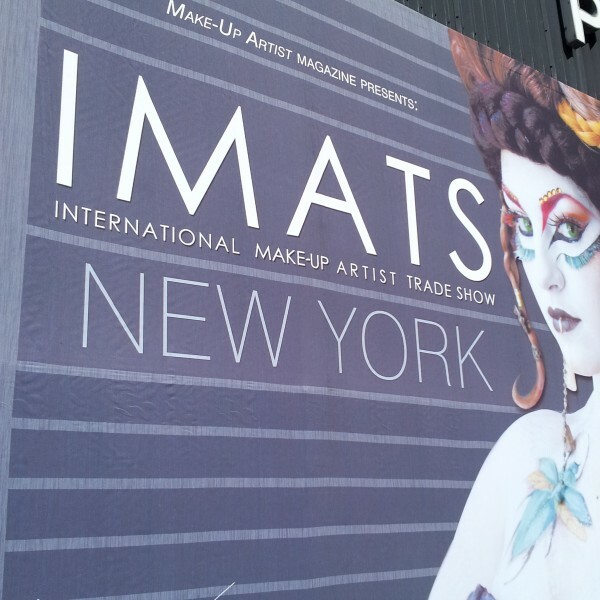 Last month I attended the International Make-Up Artist Trade Show, better known as IMATS, here in New York and I really wanted to share my experience with you.